One of my favorite BBC shows is “As Time Goes By” w/ Judi Dench and Geoffrey Palmer playing Jean and Lionel. In the show, many a dilemma is smoothed over with the quintessential British option of a Gin & Tonic. 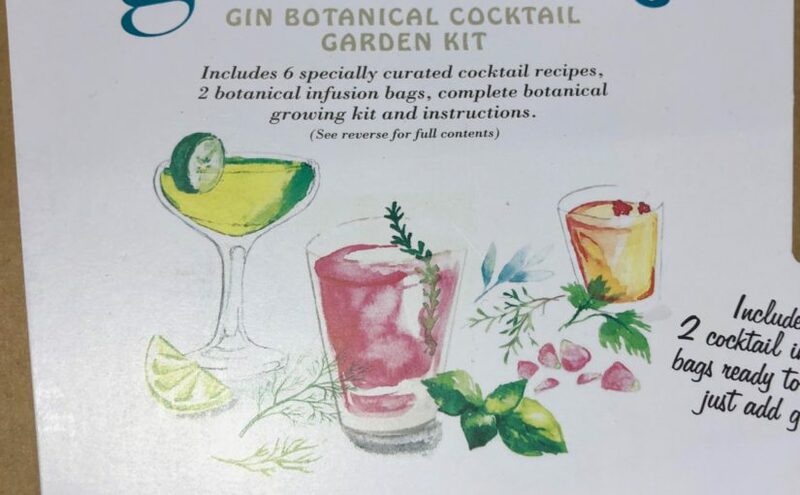 I notice that bit because my cocktail of choice is a G & T. After all what else should a gardener drink? Gin is infused w/ botanicals such as juniper berries, lemon peel, almonds, cucumber, chamomile, angelica root, apple, coriander, leaves, fruits, and flowers, it is a liquid combination of the garden. 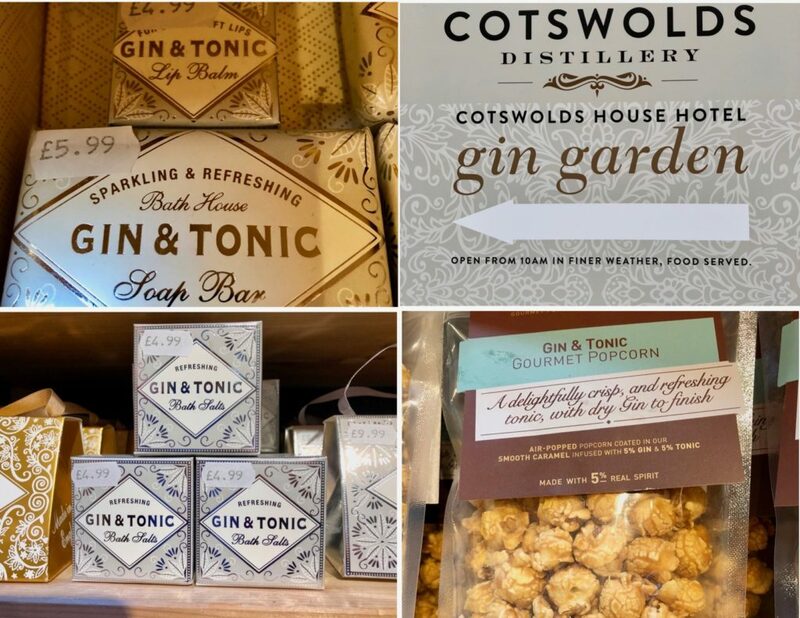 I’ve been traveling in England for a few weeks and I was surprised to discover that Gin is having its moment of fame all over the cocktail and retail scape of the country. 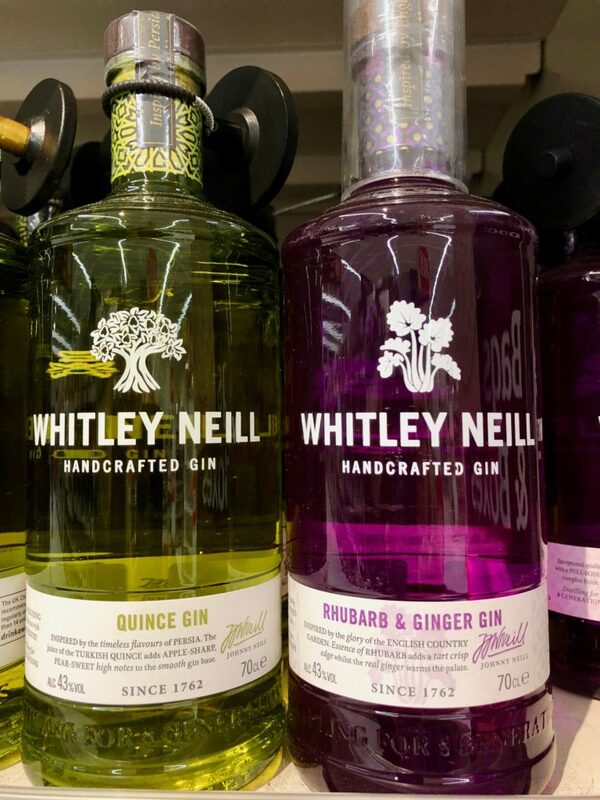 How else can you explain the varieties of gins for sale in the market? 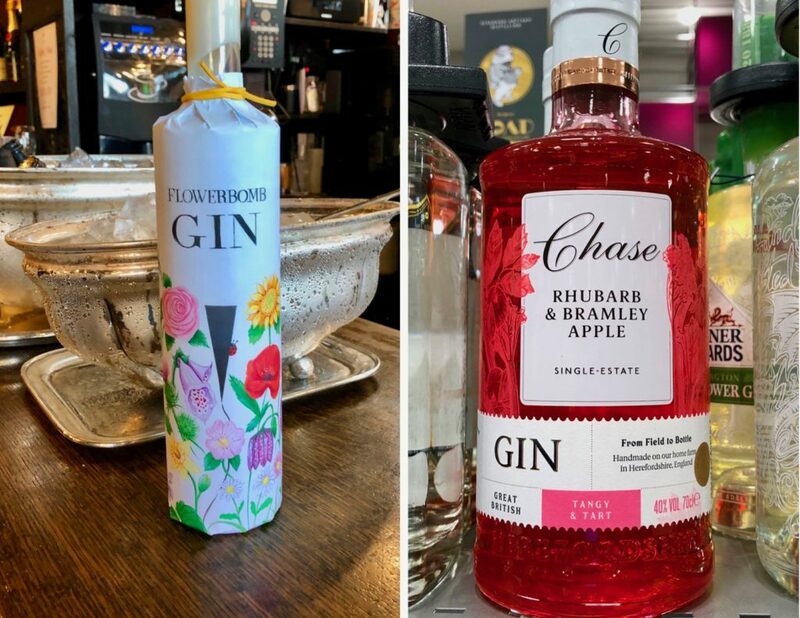 Take a look at these flavors: I didn’t know Rhubarb was so popular in England, it is in nearly every garden, there are special growing techniques and it shows up in many a sweetened cake at tea time but I certainly didn’t expect a rhubarb gin. 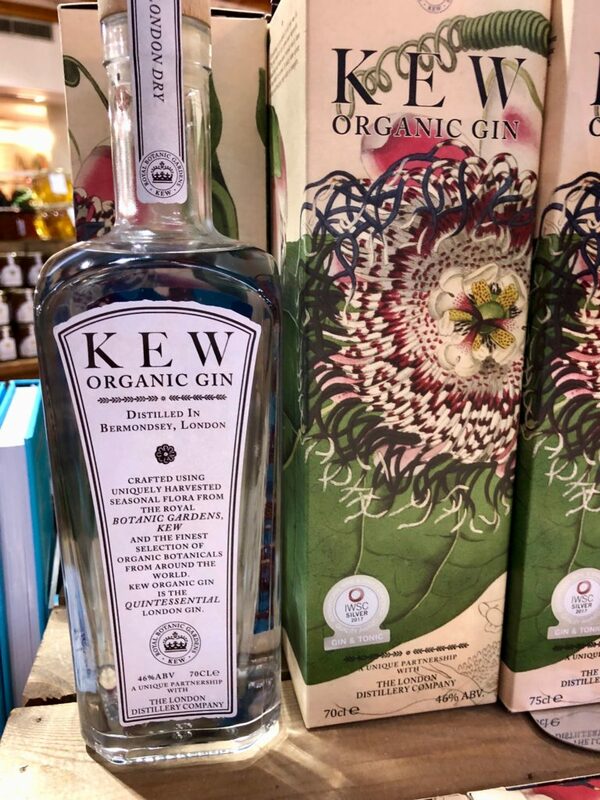 Kew Gardens using the power of all its important botanical science is making its own bespoke gin from the flowers and botanicals it grows. Kew grows a lot of wonderful plants to select from. Elderflower, a tiny white blossom that brightens the hedgerows in spring is a very popular flavor here. Used in cakes and of course, it makes a good gin. 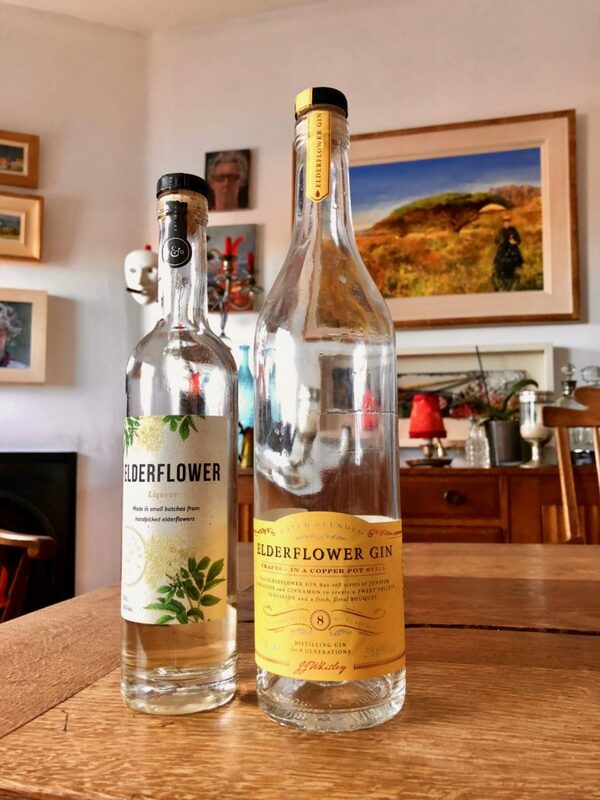 Elderflower is thought to help with the effects of the common cold, so this variety of gin could be seen as medicinal. At the Binsey Fete, near Oxford, one of the fundraising booths was offering straight shots of gin. 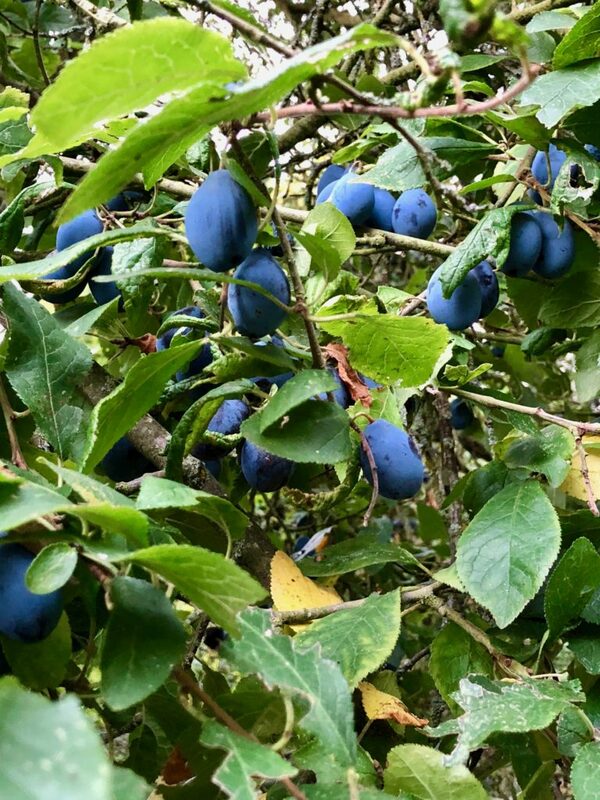 Nearby a very popular pub, The Perch, was infusing an enormous jar of alcohol with sloe berries which in time would become sloe gin. I hadn’t been that close to sloe gin since a memorable experience in college. 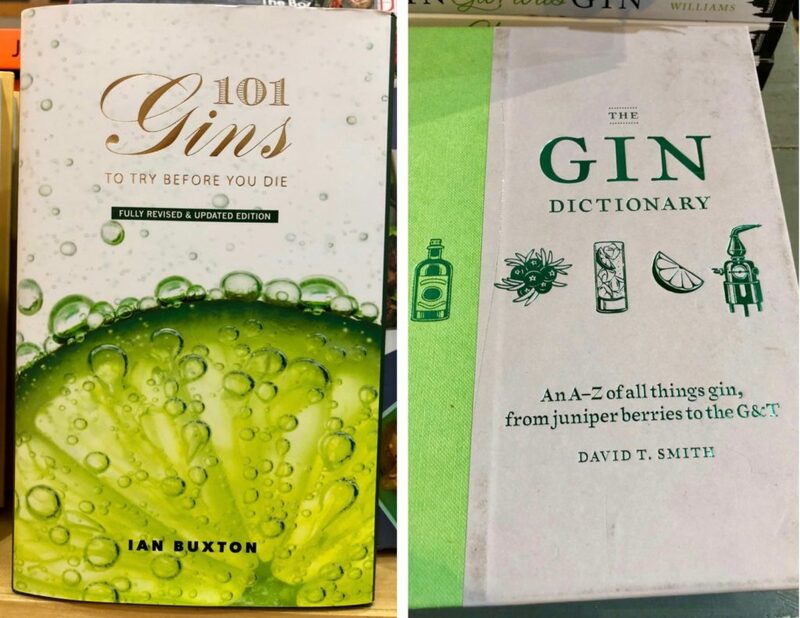 The enthusiasm for gin goes beyond the cocktail hour. How else can you explain, G & T lip balm, bath salts, and body soap? Then the real puzzler, G & T popcorn? If you are getting into this idea then you will need to do some research, be assured there are no shortages of books on the subject. 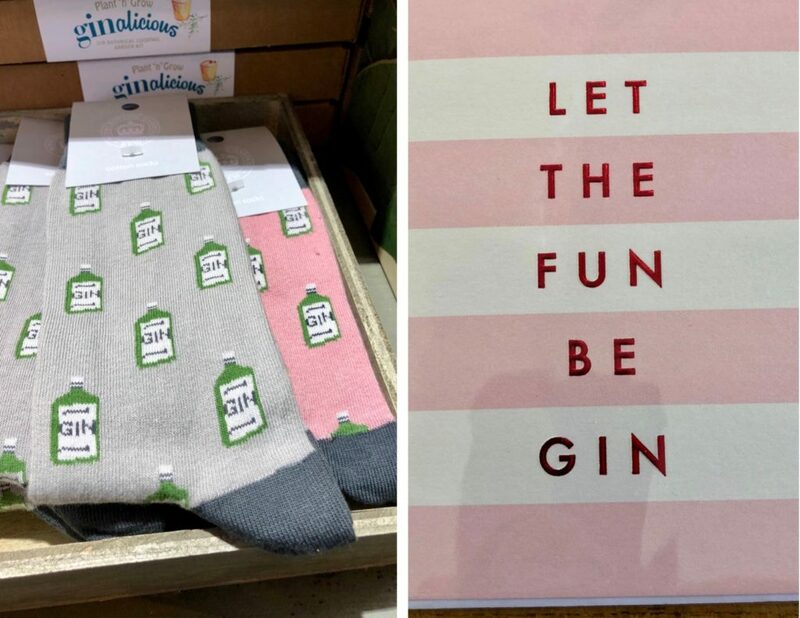 You can keep your feet warm with a pair of G & T socks while you are doing your social correspondence with a G & T card. I’m still here in England. . . .the temperature is dropping, it rained all day, and frankly, my thirst for a G & T is highest during the hot days of a Phoenix, AZ summer. 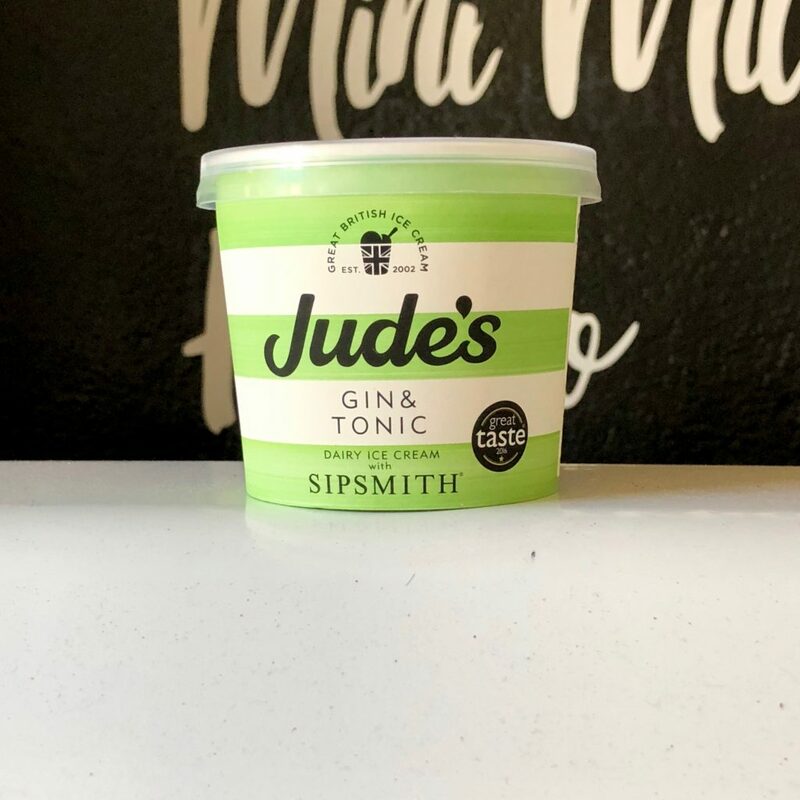 Gin and Tonic ice cream would be just the thing for a summer refreshment. 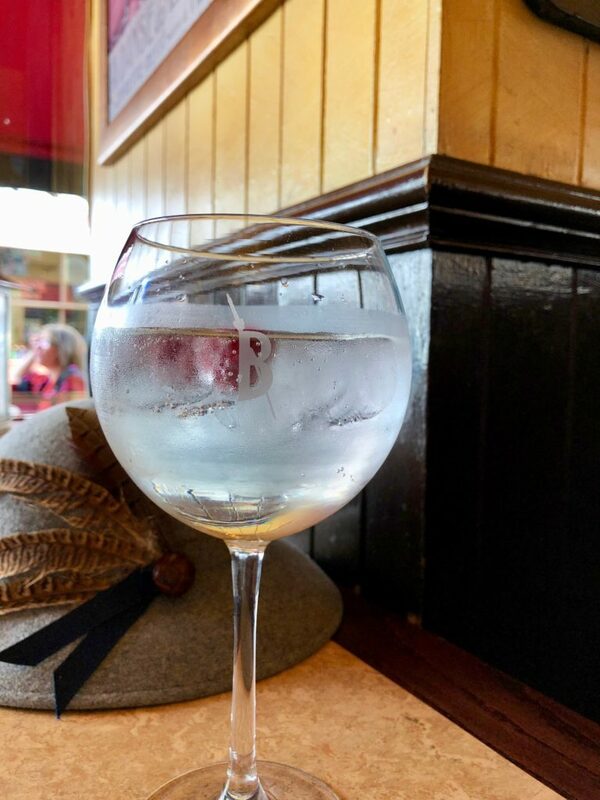 Seriously, Gin is the thing here and I’m still looking to see how many more ways the Brits love their G & T. I’ll get back to you as I need to sample a few more as well. It was amazing and very tasty to try some different ones, I’m going to look for some locally. In the mean time I like a spicy G & T from Amy Stewart’s book, The Drunken Botanist, it muddles a few thin slices of jalapeño pepper, cucumber & cilantro w/ the gin and then mix with tonic for a very flavorful combination. Garnish w/ more cucumber. Nice article…enjoyed a few G and T on our trip thru England!! Here in USA of course Bombay Sapphire with its lovely blue colored bottle is v popular, (esp with me, the Brit among us! ), just be mindful of its alcohol content which is significantly higher than vodka! I wonder about the alcohol content in the G & T lip balm? Loved your article. 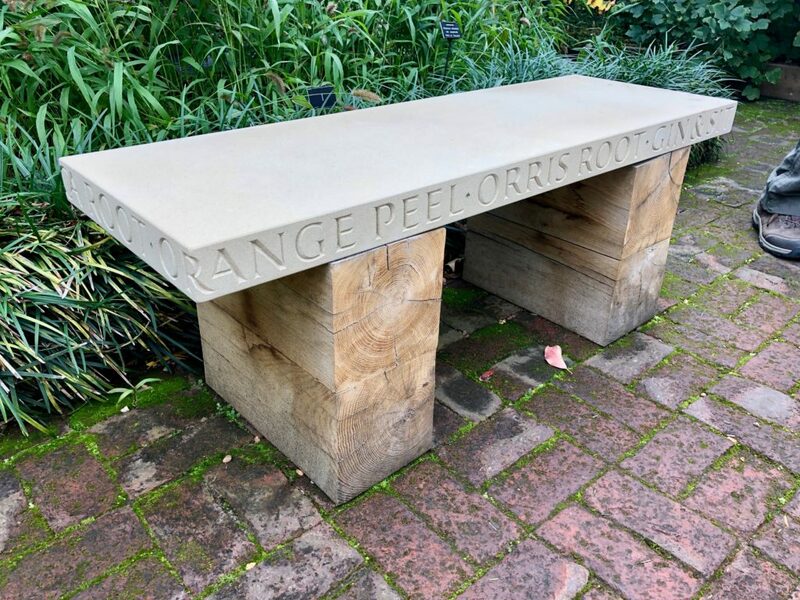 I miss England and all of the lovely gardens. I’m looking forward to hearing all about your and Rich’s adventures. I’m so happy that you made it to the Cotswolds. I think I’ll have me some gin in the garden. Soak the mint sprigs for 2 hours in half the Chardonnay. Add the remaining Chardonnay, the gin, and the creme de menthe. Shake well with plenty of ice and strain into chilled martini glasses. Place a fresh mint sprig in each glass. creme de menthe??? wow. . .haven’t thought of that for a while!